Wildfire and fury – the only thing fire scientists are sure of is this will get worse, according to Wired Magazine. Related headlines include: the link between climate change and wildfires in the US west is undeniable; US government actions make wildfires worse; BC’s past wildfires a reminder that fuels need to be cut; and air quality alerts issued in Ontario. In other news: a new carbon accounting system may better account for forest practices; climate change is pushing US forests west not north; a court says Oregon should not have sold the Elliot State Forest; and animals and fungi are shown to enhance forest productivity in Germany. Finally: US lumber tariffs continue to divide the construction industry; newsprint tariffs hurt the newspaper industry; and pulp prices put the squeeze on Charmin’s profits. 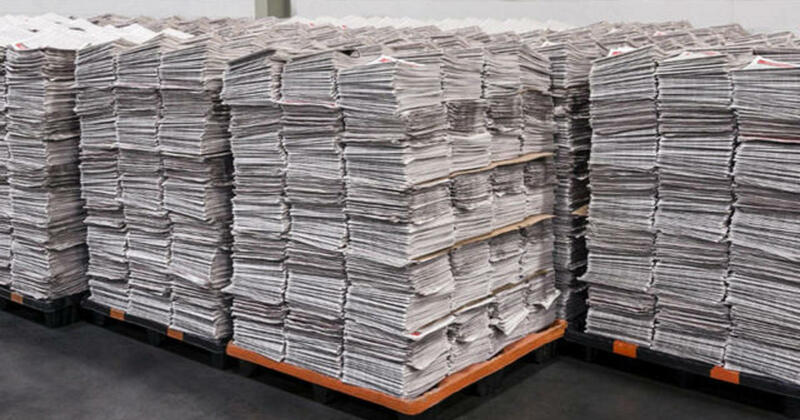 No news yet on the USDA’s newsprint tariff decision but check back for Breaking News. The U.S. Department of Commerce has decreased tariffs against most Canadian newsprint in its final ruling. …the Commerce Department reduced the final tariffs to 20.26 per cent for Richmond, B.C.-based Catalyst Paper Corp. and 9.53 per cent for Montreal-based Kruger Inc. The preliminary duties on uncoated groundwood paper, including newsprint and book-grade paper, totalled 28.25 per cent Catalyst and 32.09 per cent for Kruger. Montreal-based Resolute Forest Products Inc. saw its final duties rise to 9.81 per cent, compared with 4.42 per cent. Other Canadian groundwood producers face paying final tariffs of 8.54 per cent, compared with 28.69 per cent in the preliminary determination earlier this year on shipments into the United States. …The Commerce Department continued to exempt Connecticut-based White Birch Paper Co., which has three Quebec paper mills through its Canadian unit, from paying duties on its groundwood sales into the United States. The struggling U.S. newspaper industry is caught up in a costly trade dispute that’s pushing up its production costs. The Trump administration put a tariff on groundwood paper… Most groundwood paper comes from Canada and nearly 70 percent of newspapers in the U.S. rely on the product. On Thursday, the Commerce Department will announce whether it will end that tariff. …Nick D’Andrea, vice president of production at the New York Times, told CBS News’ Alex Wagner the tariff has made printing on paper that much harder. …Ken Doctor, a news industry analyst, says the tariff is a blow to a print industry already in decline. As a result, small newsrooms have had to make tough choices from laying off staff to cutting the number of pages they print. Last November, the U.S. Department of Commerce under President Trump announced an average of 21 percent import duties on Canadian timber products entering the U.S. 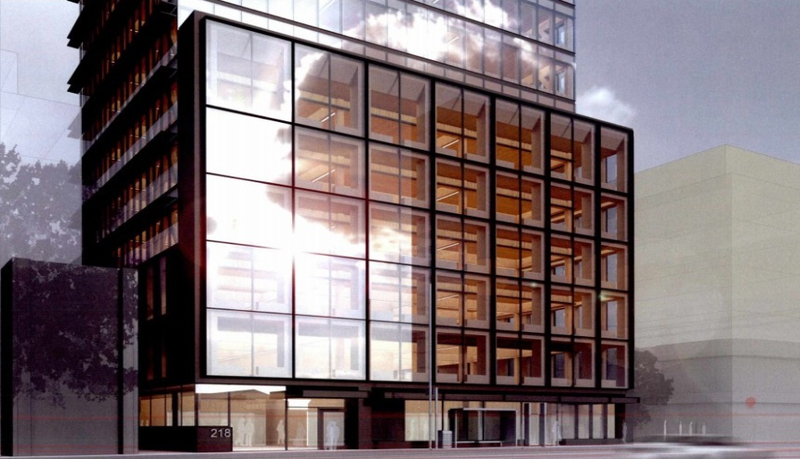 The announcement was greeted with mixed reactions within the construction industry; builders claimed that the tariffs would increase the cost of construction, and American suppliers argued that the domestic timber industry would benefit, expand, and keep wood prices low. …David Logan, director of tax and trade policy analysis at the NAHB, says that historically, the U.S. lumber field has never been able to support rapid housing growth. …This has always been the case. We can’t meet that need…not even close.” …The U.S. Lumber Coalition rejects these claims. “Since the duties were implemented, U.S. lumber shipments have increased by about 1.4 billion board feet, roughly filling the gap left by the decrease of Canadian imports. VANCOUVER — Acadian Timber today reported financial and operating results for the three months ended June 30, 2018. “Acadian’s second quarter benefited from favourable operating conditions and strong seasonal demand”, said Mark Bishop, Chief Executive Officer of Acadian. …posting Adjusted EBITDA1 of $2.6 million, in-line with the prior year period. Acadian benefited from a 4% increase in log sales volumes during the period, resulting from favourable operating conditions and strong seasonal demand, the benefits of which were offset by a decline in higher and better use land sales in Maine. MONTRÉAL – Resolute Forest Products Inc. today reported net income for the quarter ended June 30, 2018, of $72 million, or $0.77 per diluted share, compared to a net loss of $74 million, or $0.82 per share, in the same period in 2017. Sales were $976 million in the quarter, an increase of $118 million from the year-ago period. Excluding special items, the company reported net income of $66 million, or $0.71 per share, compared to a net loss, excluding special items, of $3 million, or $0.03 per share, in the second quarter of 2017. … “We are also very pleased that the countervailing duty order on supercalendered paper has recently been revoked, resulting in a $60 million refund of duty deposits over the coming months,” said Yves Laflamme, president and chief executive officer. A new four-year collective agreement was also ratified, shortly after the end of the second quarter, with the company’s largest Canadian union, Unifor, covering 1,000 employees at six of its sawmills. CHICAGO — With toilet and tissue paper swept up in an escalating international trade fight, it’s not just Procter & Gamble’s Charmin that’s going to get the squeeze. Higher prices in the wake of possible tariffs would exacerbate what is already mounting pressure on consumer product company profits from soaring costs from pulp, a main ingredient in tissues, diapers and sanitary towels. P&G on Tuesday said it is rolling out an average 4 percent increase in Pampers prices in North America, and has begun notifying retailers of an average 5 percent price rise for Bounty, Charmin and Puffs tissue products. …The price of hardwood pulp, an ingredient in tissues and toilet paper, has surged by about 60 percent since late 2016, according to the Pulp and Paper Products Council, which tracks prices based on global customs data. The price of softwood pulp, used in diapers and sanitary pads, jumped by 21 percent during that period. 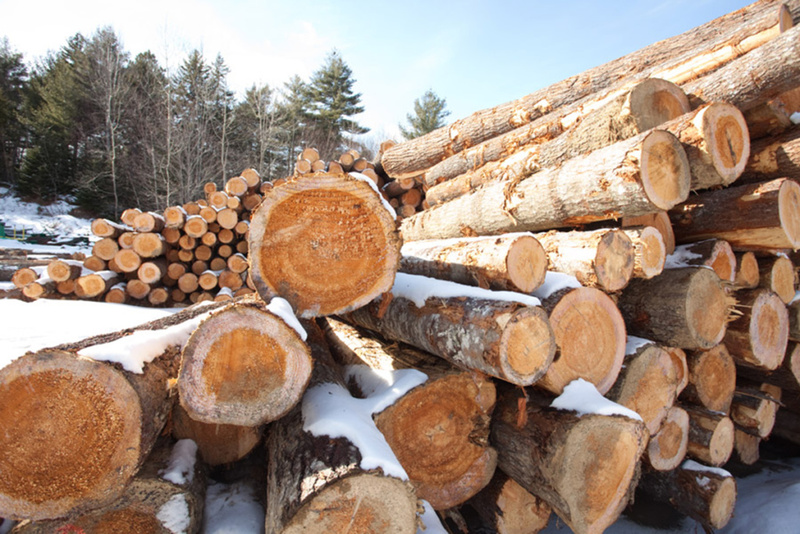 YOUNGSTOWN, Ohio — A company based in Canada that produces fuel from wood waste is considering Youngstown as a site for a new production plant. But there’s a catch – a big one. 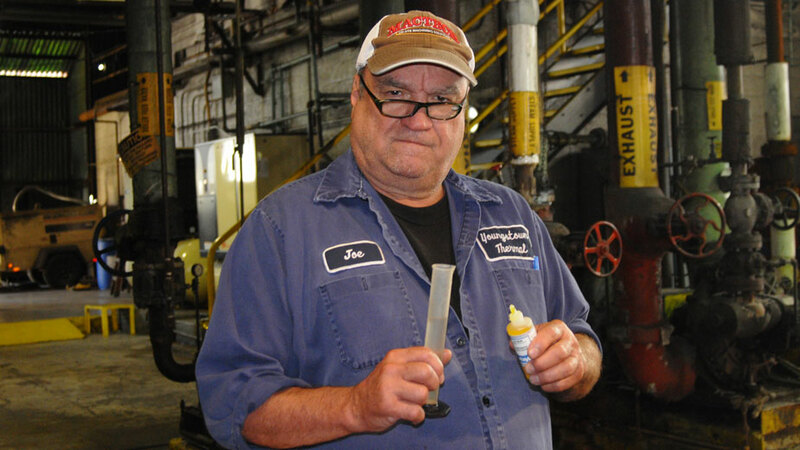 In order for Ensyn Corp. to fully commit to building such a plant, the city would have to assume ownership of Ensyn’s largest customer in the area: Youngstown Thermal Cooling LLC. …The project could create as many as 200 jobs and provide an additional source of less expensive and renewable fuel for potentially more customers within a 100-mile radius in northeastern Ohio and western Pennsylvania, according to the report. …That’s assuming the city wants the responsibility of running a district heating and cooling system – a prospect that isn’t well received by Mayor Jamael Tito Brown. SMITH COUNTY, TX – A recent fire dynamics study shows modern home construction may be decreasing the amount of time it takes a structure to become fully engulfed. “If there was a fire started in the same place on couches made today, versus 30 years ago, then it was basically showing the fire progression and how fast it progresses nowadays versus 30 years ago,” Smith County firefighter David Gerald says. Because of the way homes are built in the 21st century, Gerald says homeowners only have about three minutes to escape; simply based on construction materials and furniture. “Now it’s all synthetic fibers, and the synthetic fibers pose more of a risk with hotter and more lethal fires,” Gerald says. …Most homes nowadays are made up of particle board, a combination of wood chips and resin to glue it all together, a perfect formula for a devastating fire. The communities of Burns Lake, Decker Lake, and surrounding rural areas are at significant risk of wildfire, according to Burns Lake Community Forest manager Frank Varga. “These communities are surrounded by dead pine stands in constrained areas,” he explained. “Make no mistake, it’s not an if statement… it’s a when… we have been lucky.” …According to B.C. Blackwell and Associates Ltd., Burns Lake is among the top five communities at risk in B.C., based on the percentage of area of hazardous fuels. …The province has experienced a series of catastrophic wildfire seasons over the past 10 years… Projections of future changes in climate suggest these trends are likely to continue, and future wildfire losses are likely to increase, according to Blackwell. PRINCE GEORGE BC — …Fluffy is Robyn Bennett’s favourite tree and her wish for the little spruce is for Fluffy to live long and prosper and that’s what she put on the copper tag that is now attached to the spruce seedling. …Last year’s forest fires came much too close to home for Robyn. “The fires burned up a lot of trees and we need them,” she said. Since 1972, Scouts Canada has had a program in place where Scouts are encouraged to plant trees every spring to focus on conservation and restoration. According to the Scoutrees website, more than 80 million trees have been planted in Canada at Scout camps like Robyn’s troop’s trees, in provincial parks, on Crown land and in conservation areas. In June, the House and Senate passed farm bills with very different approaches to solving environmental problems in the national forests. As members of Congress negotiate the 2018 farm bill, they should avoid the House’s proposals, which would seriously damage our national forests and reduce Americans’ say in how these forests are managed. …Where opinions [on national forests] differ is in the care and protection of forests, and those differences have major consequences for our national forests and the people who live, work, and recreate on them. To its credit, Congress finally enacted long-overdue reform of the nation’s broken system of funding wildfire suppression… However, the House’s proposals in the farm bill would curtail tried and true democratic processes that help ensure national forest management projects are scientifically based and socially acceptable. …Congress must avoid measures that would reduce public support for badly needed active management on our national forests. …It’s hard for Easterners even to appreciate how dry the West is and how easy it is to start a massive fire. 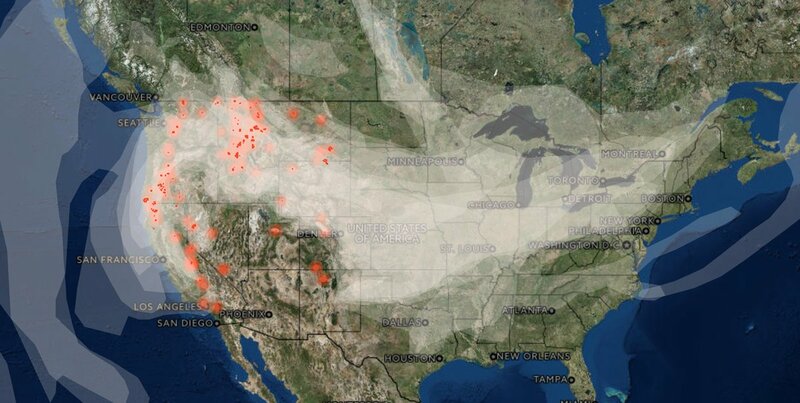 This year’s fires have so far burned more than 400,000 acres… The wreckage and smoke is so bad that it can be seen from space, and fires in California and Washington state can cloud the skies as far away as Idaho and Montana. Everyone is quick to blame global warming for this and all other natural disasters. But changes to local weather in this or that part of the country are by no means part of the same scientific consensus that climate change is real and caused in large part by human activity. Western droughts and forest fires have been around a long time, and so has climate change, but the fires have gotten much worse very recently, and government mismanagement of forests is part of the reason. The Oregon Court of Appeals has ruled the state should not have sold off a piece of the Elliott State Forest to a Eugene-based timber company four years ago. The state sold the land in 2014 after environmental groups successfully sued to halt several timber sales on the forest. “It’s our understanding that this will revert back into public ownership like it should be,” said Josh Laughlin of Cascadia Wildlands. The Elliott State Forest in southwestern Oregon was initially set aside to generate money for schools as part of the Common Schools Fund, but federal endangered species protections also apply. After timber sales were halted, the Oregon State Land Board decided to generate that money instead by selling an 800-acre parcel to Seneca Jones Timber Company. Now comes August. While surrounding states burned hot in July, the mountains of Montana dried up but remained almost fire-free. It’s all but assumed that will change. July closed with barely a drop of rain all month. At .02 of an inch in Missoula on July 3 and a trace last week, it was the second-driest July on record, behind only last year. …Then again …Temperatures that had been predicted to reach the mid-90s on Tuesday topped out at 85 in Missoula under an insulating blanket of clouds and smoke from fires to the west. …Another hot spell could succeed that coming out of the weekend, but it’s not a certainty. “The long-range models have been jumping all around,” Henry said. …the argument marshaled by skeptics against global warming, assumes that scientists vastly overstate the consequences of pumping greenhouse gases into Earth’s atmosphere. …The sour irony of that muttonheaded resistance to data is that, after four decades of being wrong, those people are almost right. As of July 31, more than 25,000 firefighters are committed to 140 wildfires across the United States—over a million acres aflame. Eight people are dead in California, tens of thousands evacuated, smoke and pyroclastic clouds are visible from space. And all any fire scientist knows for sure is, it only gets worse from here. How much worse? Where? For whom? Experience can’t tell them. The scientists actually are uncertain. …“We can no longer use the observed past as a guide” says LeRoy Westerling, a management professor who studies wildfires at UC Merced. Northwest lawmakers introduced a bill Thursday to permanently protect 58 million acres of undeveloped federal forests. The fight over so-called roadless forests has spanned three presidential administrations, and most recently it’s largely played out in the court system. U.S. Sen. Maria Cantwell, D-Wash., and U.S. Rep. Jay Inslee, D-Wash., filed bills in the Senate and House respectively to codify into law the Roadless Area Conservation Rule, which the Clinton administration created, the Bush administration weakened and the Obama administration has pledged to defend. The rule makes millions of acres of land managed by the U.S. government — including about 2 million acres in Oregon — off limits to logging and road-building. A new study shows that, in addition to the diversity of tree species, the variety of animal and fungus species also has a decisive influence on the performance of forests. Forest performance comprises many facets besides timber production, such as carbon storage and climate regulation. The study is based on ten years of research in species-rich subtropical forests. A team of researchers led by the German Centre for Integrative Biodiversity Research and the Martin-Luther-University Halle-Wittenberg has published the results in the new issue of Nature Communications. 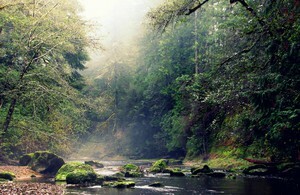 They illustrate that biodiversity must be viewed as a whole in order to maintain the performance of forests. …”Our analyses show that the diversity of animal and fungal species affects numerous important processes — such as the availability of nutrients for tree growth,” said Dr Andreas Schuldt. KAMLOOPS, B.C. — Lightning storms that swept across British Columbia are being blamed by the Wildfire Service for many of the blazes that started this week across the province including one that threatened Kootenay Park Lodge on Wednesday. Spokesman Ryan Turcot said more than 300 wildfires have started since Tuesday, with dozens recorded in the last few days in the Cariboo region, the area hard hit by last year’s record-breaking fire season. Unstable weather began Saturday but there were hundreds of lightning strikes Tuesday, said Turcot. Storms were expected to continue through the week. …The wildfire service listed 10 fires of note burning across five of B.C.’s six fire centres and Turcot urged extreme caution. “We are dealing with a lot of new lightning-driven activity. The last thing we need right now is human-caused fires to divert critical resources away from the fires we are responding to right now,” he said. 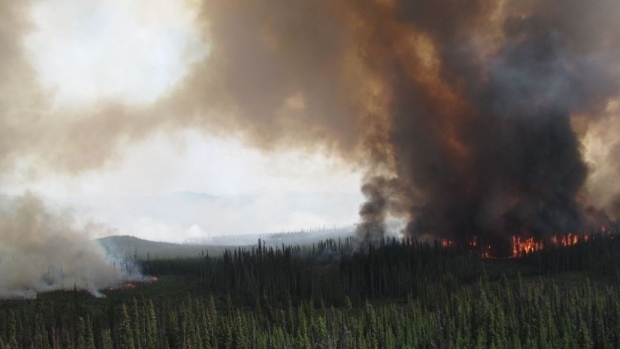 104 wildfires were burning in the Northwest Region as of Wednesday afternoon, but Ministry of Natural Resources and Forestry officials hope the region’s weather will provide wildfire relief in some areas. 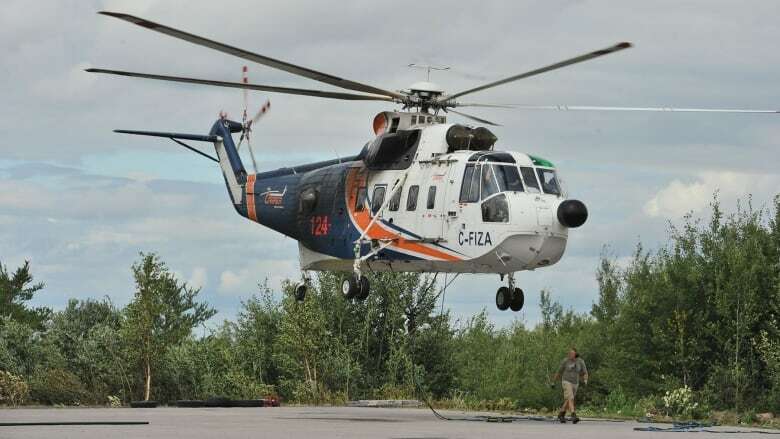 According to MNRF Fire Information Officer Chris Marchand, six of the new fires were reported on July 31, as of about 2:30 p.m. Wednesday, one more had begun to burn. However, cloud cover and cooler temperatures in much of the region were a good sign, as lower temperatures tend to be indicative of higher humidity​, and the higher the humidity, the less likely fuel is to ignite and fires to start or spread. Environment Canada has issued special air quality statements due to a massive forest fire burning south of Sudbury, Ont. Parry Sound 33 forest fire is currently 10,000 hectares in size and not under control. It started two weeks ago and officials now say it is less active due to high humidity levels and cloud cover. However, the smoke from the fire is causing poor air quality and reducing visibility, according to Environment Canada. …”Smoke plumes are over parts of the region from forest fires in the vicinity of Key River [and] air quality may deteriorate if the smoke descends to ground level,” Environment Canada states on its website. UPPER LAKE, Calif. — A massive wildfire in Northern California has torched more than 1,000 homes in and around the city of Redding, authorities said Wednesday as some evacuees were allowed to return home and new blazes exploded in what has become an endless summer of flame in the Golden State. “Whatever resources are needed, we’re putting them there,” Gov. Jerry Brown said at a news conference. “We’re being surprised. Every year is teaching the fire authorities new lessons. 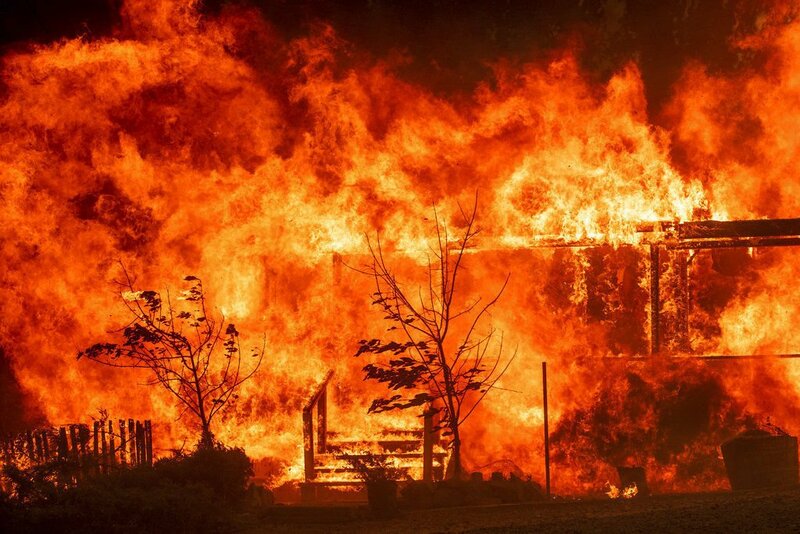 We’re in uncharted territory.” Just a month into the budget year, the state has already spent more than one-quarter of its annual fire budget, at least $125 million, California Department of Forestry and Fire Protection spokesman Mike Mohler said. Cal Fire said another 440 buildings …have also been destroyed by the fire … which started July 23, [and] forced 38,000 people from their homes and killed six. 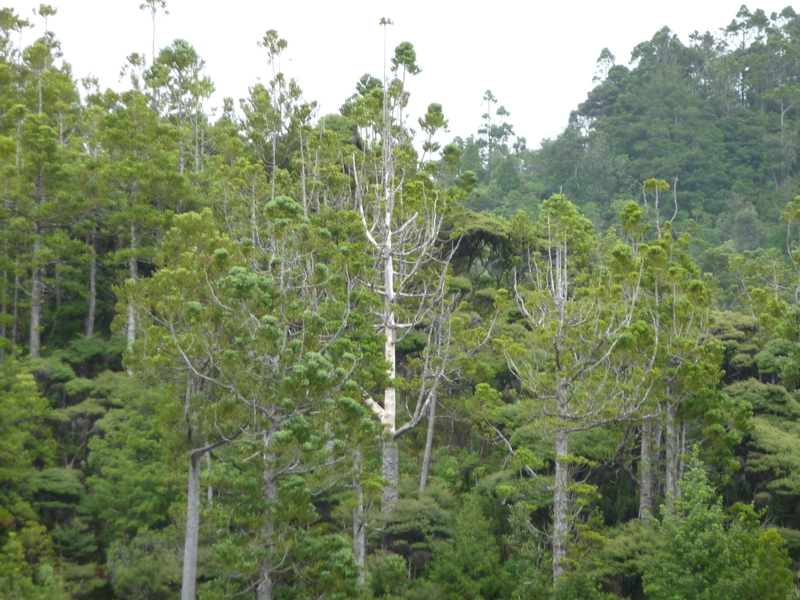 Many studies on the impacts of global temperature rise have suggested that the range of trees will migrate poleward and upward. However, research …suggests that more tree species have shifted westward than poleward. The effects of climate change on trees can be complicated – different combinations of changes in temperature and precipitation can result in different impacts, and different species can have different responses. As such, resource managers lack a comprehensive understanding of large-scale climate change impacts on forest ecosystems. Songlin Fei, Associate Professor at the Department of Forestry and Natural Resources at Purdue University, sought to provide some understanding to this problem. …He found that 73 percent of tree species have experienced a westward shift while 62 percent have experienced a poleward shift. It appears that the shifts are largely associated with changes in moisture availability. Each year seems to bring a stronger, more dangerous and more damaging series of wildfire’s in America’s West. Although the Congress has given greater resources and flexibility to agencies that fight wildfires, this country and its government must go one step further: preventing or mitigating natural disasters must get the same resources and attention as our national security. In large part the increased intensity and frequency of wildfires is due to climate change. Unless we get serious about mitigating wildfires and addressing their root cause, climate change, we will find more than just devastated homes in some states. 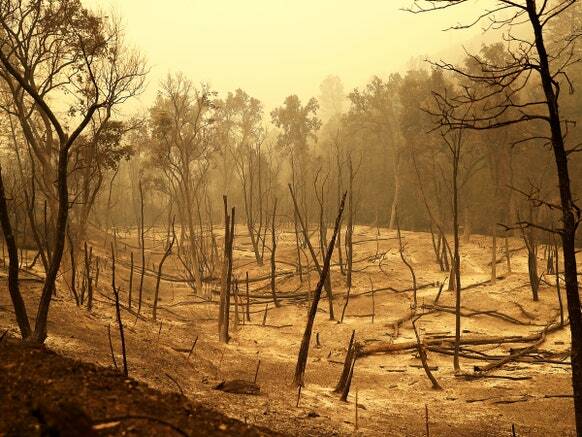 …The impact of climate change, drought and extreme heat in particular, on wildfires is undeniable. …But in the longer term, we must collectively understand that this phenomenon is inextricably linked to climate change, and we must change our national and individual behavior and consumption patterns to reduce activity that is harmful to the environment. Arizona’s forests are being ravaged by climate change. How much can we save? Arizona didn’t always burn this way. In the 1970s… people thought about forests and fire on a different scale. Wally Covington remembers the shock as high country residents watched the unprecedented sight of 500-acre crown fires… killing the mature pines. Only a few decades earlier no one in Arizona had ever seen a crown fire, let alone one in the hundreds of acres. “People couldn’t believe fires could get any bigger,” said Covington, a forestry professor and executive director of the university’s Ecological Restoration Institute. The fires did get bigger. At their most extreme they got a thousand times bigger. …Foresters in the 19th century unwittingly set this disaster in motion. 20th century fire suppression and warming made it worse, littering the landscape with “doghair thickets” …that burn like kindling. Without major ecological investments, Arizona risks losing its ponderosa forests in a generation. A Joint Research Centre-led group of forestry research experts has developed a rigorous new fact-based carbon accounting system that reflects how forest management practices can help mitigate greenhouse gas emissions. This new system has been recently adopted by the EU as the scientific basis for integrating the land-use, land-use change and forestry sector in its climate strategy. While they are growing, trees absorb carbon dioxide from the atmosphere through photosynthesis and store it as carbon in their wood. Through proper forest management, trees acting as “carbon sinks” can have a significant impact on carbon reduction. …The new science-based approach for credible accounting of mitigation in managed forests …sets reference levels based on documented historical forest management practices rather than on projected future policy impacts. In other words, it is based on factual evidence (what has actually happened) rather than projected future outcomes (which may never materialise). Most people would never think of London as a forest – yet there are actually more trees in London than people. And now, new work by researchers at University College London shows that pockets of this urban jungle store as much carbon per hectare as tropical rainforests. More than half of the world’s population lives in cities, and urban trees are critical to human health and well-being. Trees provide shade, mitigate floods, absorb carbon dioxide (CO₂), filter air pollution and provide habitats for birds, mammals and other plants. The ecosystem services provided by London’s trees – that is, the benefits residents gain from the environment’s natural processes – were recently valued at £130m a year. …The UCL team use a combination of cutting-edge ground-based and airborne laser scanning techniques to measure the biomass of urban trees much more accurately. As firefighters continue to battle wildfires across the province, paramedics in Renfrew are taking a novel approach to keeping crews safe — working right alongside them. For weeks, dozens of fires have been raging across Ontario, with many still not under control, and a number of northeastern communities are on evacuation alert. 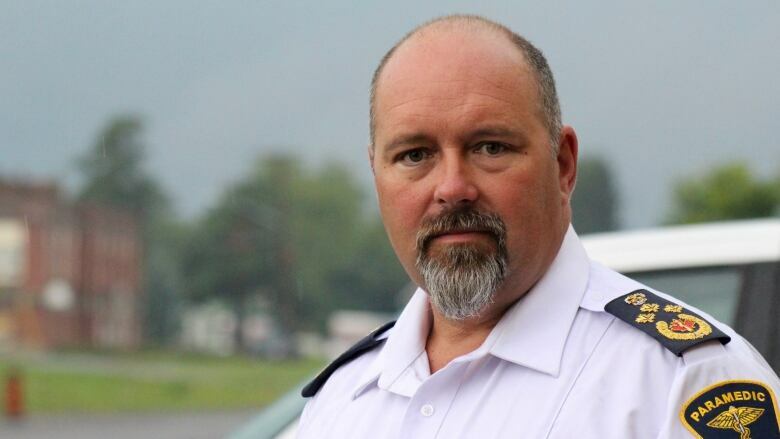 “As I drove beyond Deep River you can see this heavy haze hanging in the air,” Mike Nolan, chief paramedic and director of emergency services for the County of Renfrew. …The severity of the situation is what prompted paramedics — a special team called “Sierra” that does work in remote areas — to stand shoulder to shoulder with firefighters to meet medical needs as they come up. …Nolan said they have had to fly out a number of firefighters, dealing with issues such as back injuries and knee injuries.